Can midsized firms beat the AmLaw 100? Social media levels the field. Bingo. That’s exactly why social media is a huge opportunity. The internet and social media are now flattening the market for legal services. 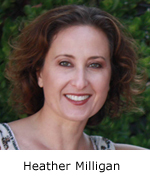 And now, midsized firms like Heather’s have an unprecedented opportunity to challenge the big firms for the most lucrative work. While Heather’s 70-attorney firm could never match the AmLaw 100 folks when it came to advertising and sponsorship budgets – there is no reason why they can’t match their ideas. And with a good website combined with social media marketing, it’s easier than ever to get your firm’s ideas in front of decision makers. In the era of social media, the advantage is increasingly going to those attorneys and firms with specialized expertise, a unique perspective and the willingness to share it. And as a result, there’s probably never been a better time to be a midsized firm. Yes, but….. 🙂 AmLaw 100 saw this coming before mid size firms did. But they failed to move in time. So yes, there is plenty of opportunity all the way down to branded solos. What is missing is the ability of smaller firms to collaborate at high levels of trust to build scale and compete with AmLaw100. Jorge – you make some fantastic points. Yes, the biggest firms will always get the biggest cases – and “scale” is one of the major factors that limit smaller firms. However, as you stated, lots of opportunity exists. There is plenty of lucrative work currently being performed by the AmLaw 100 that could be handled by other firms. In the past, there were huge barriers to getting on the radar of general counsel. Now this is much easier thanks to the internet. The best ideas can win, as long as you’re savvy about how you use your website and social media. Thanks again for the thoughtful comments! “Leveling” the playing field is probably an overstatement for the reasons Jorge cited, but I wholeheartedly agree that it opens new options for advance based on the strength of ideas. Thank you for your thoughts. You make an excellent point — and the chess metaphor is aptly applied. Regardless of how much more level a good website combined with social media marketing strategy makes the playing field, it’s quickly becoming clear that legal practitioners with specialized expertise, a unique perspective and the willingness to share it, have an edge over other attorneys.